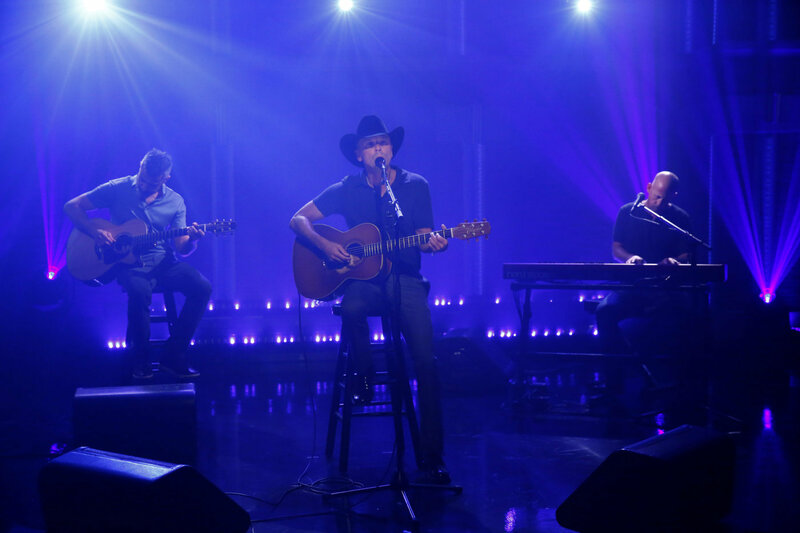 Kenny Chesney appeared on Late Night with Seth Meyers last night (Dec. 18) where he talked of unorthodox music marketing, Grammy nominations, No Shoes Nation, why he loves St. John and spearheading a relief effort for the US and British Virgin Islands through his Love for Love City Foundation and evacuating the animals lost in the aftermath of Hurricane Irma. Chesney also performed a raw, stripped down “Jesus & Elvis” off his latest album Cosmic Hallelujah, which recently earned a Grammy nod for Best Country Album. 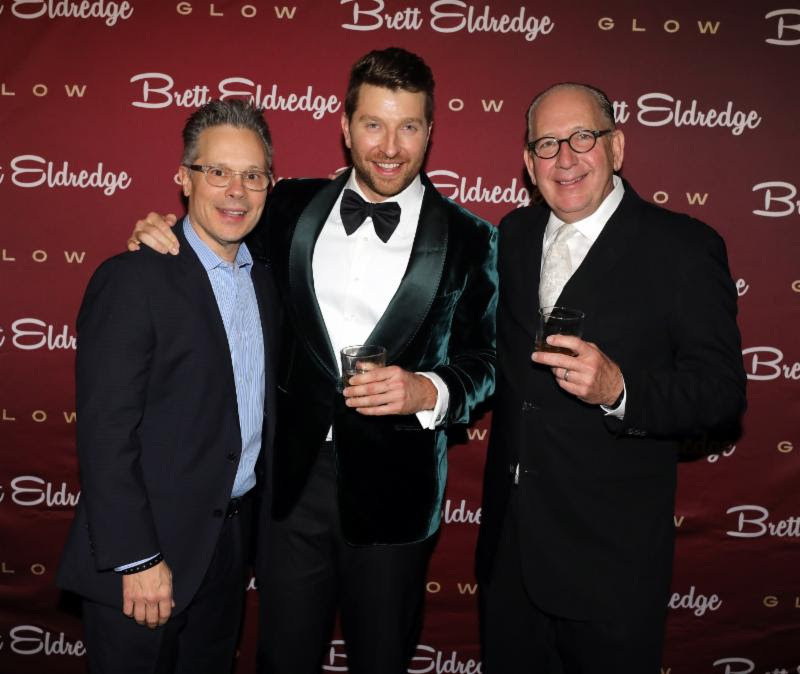 Brett Eldredge performed his final show of the year last Thursday night (Dec. 14) at his annual holiday concert, “An Evening With Brett Eldredge.” Eldredge performed the season’s most popular holiday tunes for friends, family and industry guests at the Country Music Hall of Fame and Museum in Nashville. 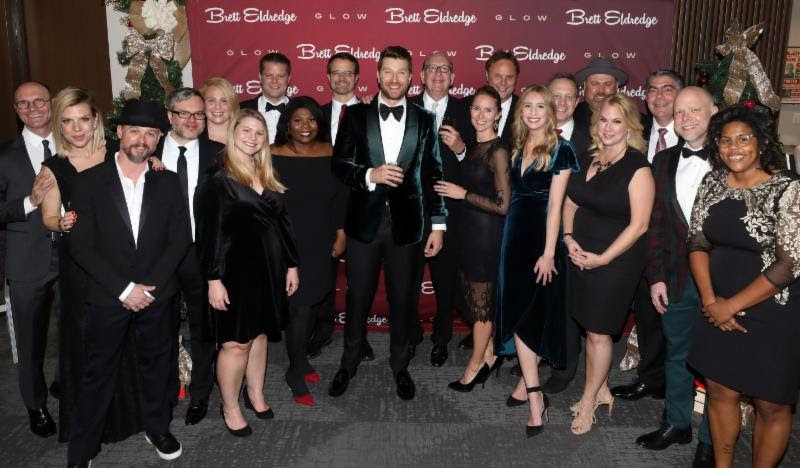 The fourth annual event, which featured a 12-piece orchestra backing the swinging Christmas tunes from his holiday album Glow, raised money for the Brett Eldredge Family Foundation to support area children’s hospitals. Jordan Davis with the UMG Nashville staff. MCA Nashville’s Jordan Davis delivered treats to the UMG Nashville staff Tuesday morning (Dec. 19) as a thank you for all the support on his debut single, “Singles You Up.” The UMG staff welcomed Davis to the office while wearing his limited edition “Single All The Way” holiday sweatshirt to celebrate. 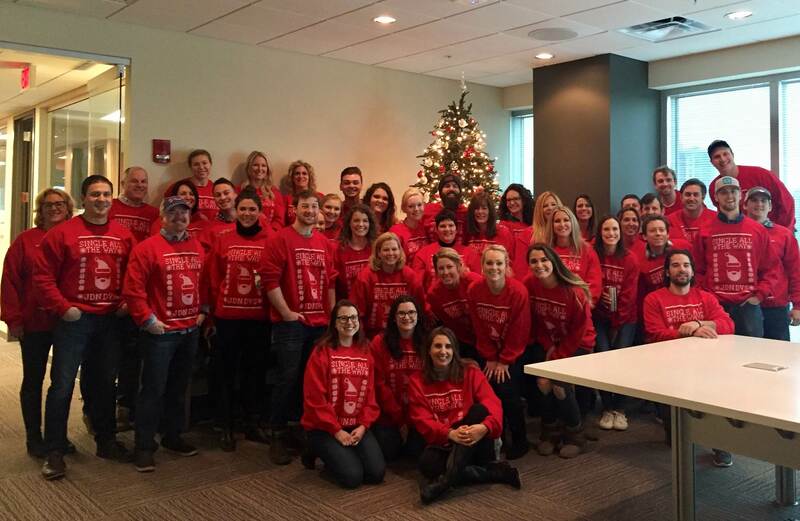 Davis’ “ugly Christmas sweater” is available for purchase here with 100% of the proceeds going to St. Jude Children’s Research Hospital. 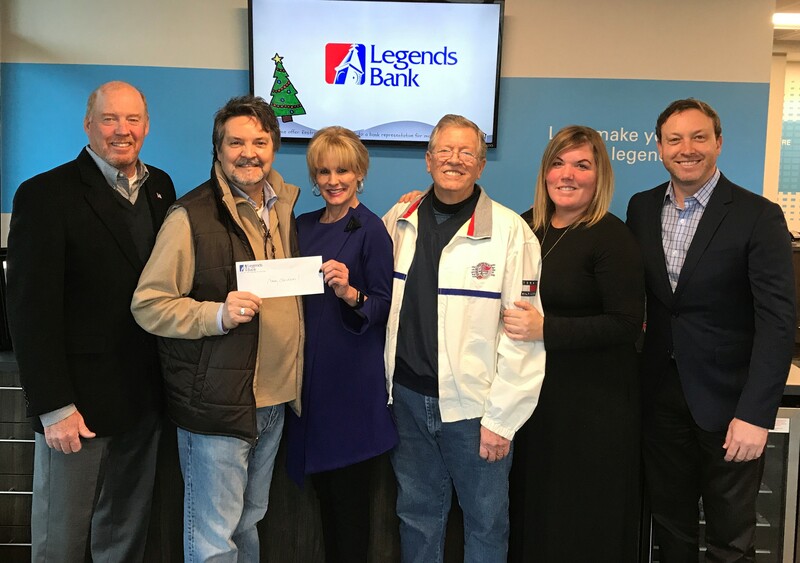 Pictured (L-R): Legends Bank’s Nashville Area President Rick Archer, HoriPro Senior VP Butch Baker, T.J. Martell CEO Laura Heatherly, Director of HoriPro Honors Golf Tournament Jack Craw, HoriPro Senior Creative Director Courtney Crist, and Legends Bank’s Branch Manager/Business Banker David Monfore. HoriPro Entertainment Group presented a HoriPro Honors Golf Tournament donation to the T.J. Martell Foundation, made in the name of Bob Heatherly, longtime music executive and late husband of Laura Heatherly of T.J. Martell. The HoriPro Honors Golf Tournament, presented by Legends Bank, was held earlier this year at Henry Horton State Park and honored BMI’s Jody Williams and HoriPro’s Dave Hall. Next year’s HoriPro Honors Golf Tournament is set for Friday, June 1, 2018.